With 1mm difference in height the Trimble is unable to split these summits, therefore they remain deleted from 390m Sub-Pedwar status and are reinstated as twin Trichant tops, the post below remains as originally written for historic merit. There has been a deletion of a 390m Sub-Pedwar by analysis of LIDAR data by Aled Williams. The 390m Sub-Pedwarau is one of three categories of sub hills that accompany the main Y Pedwarau list, with the criteria for 390m Sub-Pedwar status being all Welsh hills at or above 390m and below 400m in height with a minimum 30m of drop. 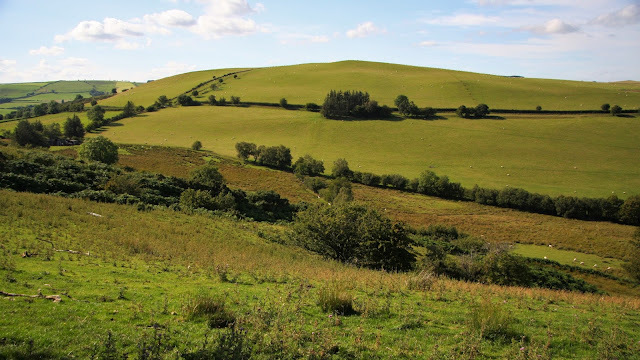 The hill is situated in the group of hills known as Mynydd Epynt with its Cardinal Hill being Clepyn Melyn (SN 961 464) and is placed in the Region of Mid and West Wales (B-2). The hill is positioned between the small communities of Lower Chapel to the east south-east and Merthyr Cynog to the west, and between the river valleys of the Ysgir Fawr to the west and the Honddu to the east. A narrow lane passes just to the south of this hill’s summit and one car can be parked beside it at its high point, this affords easy access toward the summit on a public footpath. The name of the hill is Cefn Bach and it had been listed in the Y Pedwarau Europeaklist booklet with 55m of drop based on its 391m summit spot height at SO 00284 37297 and the 336m bwlch spot height that appears on the Ordnance Survey 1:25,000 Explorer map. This hill was prioritised as a 390m Sub-Pedwar in preference to its 391m map heighted twin summit which was listed as the 390m Double Sub-Pedwar with its 391m spot height at SO 00375 38722, these two hills are aligned in a north – south direction, with the northerly hill being listed with c 22m of drop based on an estimated bwlch height between the two hills of c 369m. 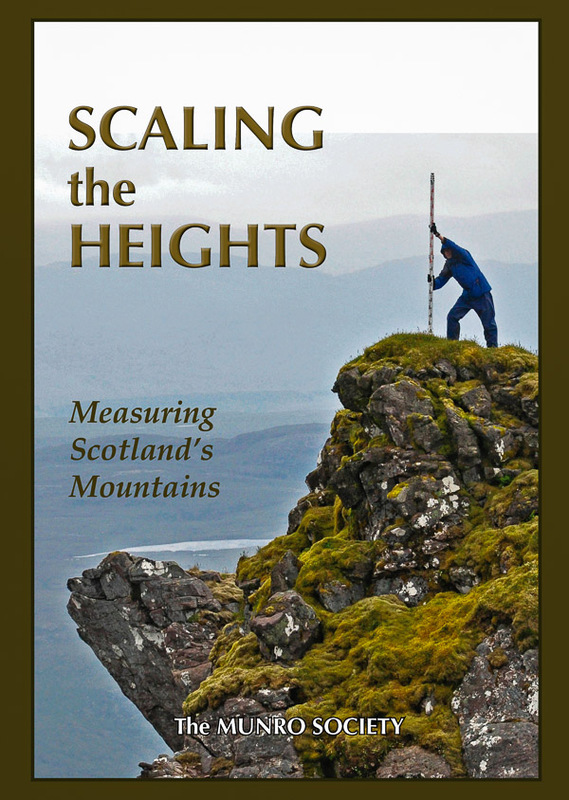 Since the Europeaklist publication of the Y Pedwarau the southerly of these two 391m map heighted hills has been surveyed with the Trimble GeoXH 6000 resulting in a 389.4m (converted to OSGM15) summit height at SO 00293 37291 and a 335.0m (converted to OSGM15) bwlch height at SO 00287 36949. As Aled was analysing other hills in the vicinity against LIDAR data, he did likewise with the two Cefn Bach hills. LIDAR (Light Detection & Ranging) is highly accurate height data that is now freely available for much of England and Wales. Therefore, the 389.4m LIDAR data produced for the summit position at SO 00293 37291 and the 335.0m LIDAR data produced for the bwlch position at SO 00293 36953 when coupled with the LIDAR data confirming that the northerly Cefn Bach summit at SO 00471 38745 is 389.2m high and therefore lower than its southerly adjacent hill, is sufficient for this hill to be deleted from the ranks of 390m Sub-Pedwarau as its summit is below the height threshold. This now brings the overall total for the 390m Sub-Pedwarau to 37 hills with two deletions to this sub category of hill since publication of the list by Europeaklist in May 2013. The hill will be taken out of the 390m Sub-Pedwar list in forthcoming publications of the Y Pedwarau. The list of Pedwar hills is available from the Haroldstreet website (January 2014) with all subsequent changes available via the Mapping Mountains site.